Over a thousand years ago, Europe experienced one of its greatest periods of cultural enlightenment. Almost 1000 years of Islamic presence in Spain, Muslims, Jews and Christians lived together and prospered in a thriving multicultural civilization. Here, remarkable individuals of different faiths made lasting contributions in such areas as poetry, art, architecture, music, dining etiquette, science, agriculture, medicine, engineering, navigation, textiles, and even hydraulic technology. 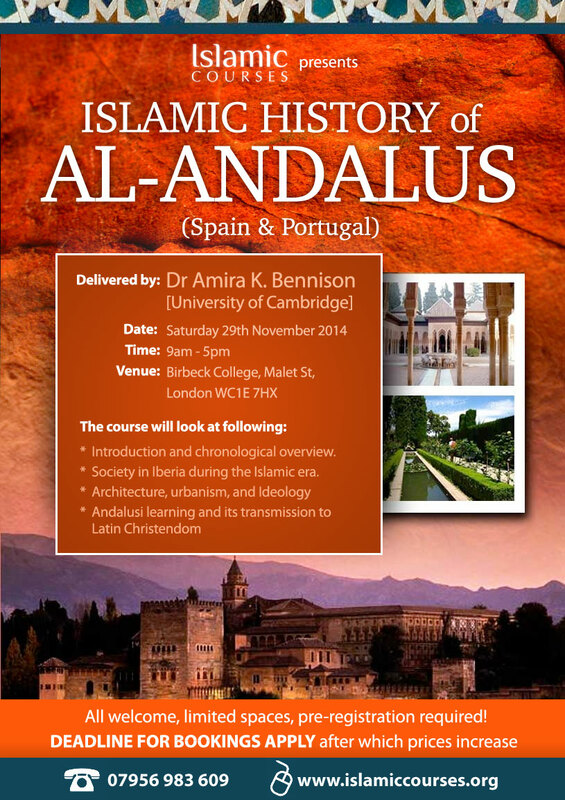 Dr. Bennison is currently a Senior Lecturer in Middle Eastern and Islamic Studies at the Faculty of Asian and Middle Eastern Studies, Cambridge University. Her research interests include Islamic cultural history and historical globalisation and has published widely on the subject in particular ways in which different regimes and dynasties in North Africa and Islamic Spain legitimised themselves. One of her recent books, ‘The Great Caliphs: the golden age of the Abbasid empire’ was runner-up in the Longman-History Today Book of the Year Award in 2009. Dr. Bennison has appeared in several TV programmes about the history of the Middle East and North Africa including ‘Europe’s Lost Civilisation'; ‘The Thirties in Colour’ and ‘Islamic Science’. She is also a regular contributor to Radio 4’s ‘In Our Time’ with Melvyn Bragg. For more information about her work please click here.